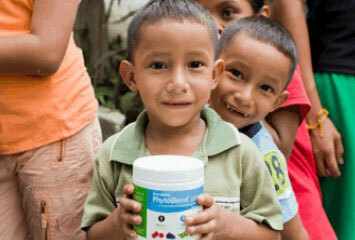 ~ are already consuming supplements but want to switch to our product to support the work of the M5M foundation. ~ now realize they need supplements and want to buy products of quality, based on science and not gimmicks. ~ are happy doing what they are doing, do not want to change their occupation, just want to stay as healthy as they can in today’s climate. Whatever your reason, whatever you are looking for — our Supplements: Optimal Health support, skin care cream, sports products, and/or our TruHealth fat loss system, — you know you will be getting scientifically validated products. ALSO you know that the profits are going to a great cause — that of helping to save children’s lives. ● if, after being a Preferred Consumer for awhile, you decide you wish to become an Associate, that can be done very easily. Always check here to see what products are available in your country. Any questions? Contact Peggy (Account number 228619) at peggy@mannagold.com or complete form to the right. These products is not intended to diagnose, treat, cure or prevent any disease. * The Company gives a 180 day* 100% guarantee – basically saying if you aren’t satisfied after consuming any of our products for up to 6 months you will receive a full refund EVEN ON EMPTY CONTAINERS. NOTE: Some countries set different standards for the length of the guarantee. This 180 days is for North America and some other countries. Check with us.